Chinese video streaming platforms are making plans to enter Taiwan’s market, sparking local concerns that the Chinese regime’s censorship apparatus and ideological propaganda will soon infiltrate the island. Taiwan’s laws regulating cross-strait relations prohibit Beijing’s propaganda—including state media and video platforms that broadcast state-run content—from establishing business operations on the island. But after a Chinese video content platform found a way to bypass the rules, others have been following suit. 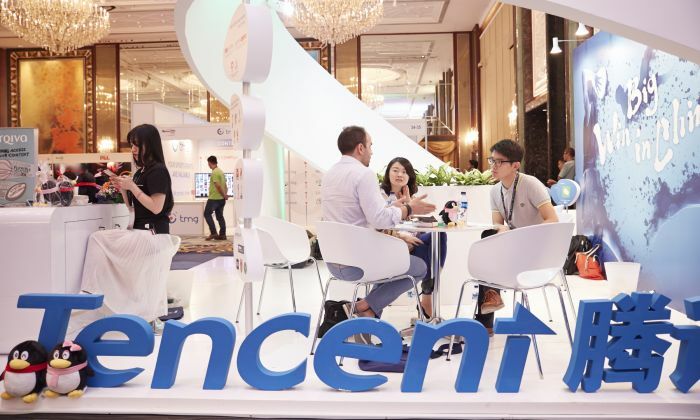 Most recently, Tencent Video, China’s largest video streaming platform, will begin operating in Taiwan in May, the Taiwan branch of New York-based broadcaster NTD reported on March 16. Taiwanese citizens are free to access Chinese media and video platforms regardless of whether the company has operations on the island. However, establishing a local Taiwan office would allow a company to more easily negotiate broadcasting rights, advertisements, promotional campaigns with local vendors, and other business. Youku, a streaming service under Chinese tech giant Alibaba, will also enter Taiwan sometime in 2019, according to the company. China has five major video streaming platforms: Tencent Video, iQiyi, Youku, Sohu Video, and Mango TV. The business model Tencent Video and Youku will adopt in Taiwan was first created by iQiyi, a subsidiary of Baidu, the popular Chinese search engine. iQiyi applied to set up a subsidiary in Taiwan in 2016. But on Nov. 28 that year, the Taiwan Investment Commission of the Ministry of Economic Affairs (MOEAIC) denied iQiyi’s business application. Citing the Act Governing Cross-Strait Relations, the commission provided three reasons for denying iQiyi: it’s not simply an information provider, but also broadcasts the Chinese regime’s propaganda; owing to the reciprocity principle, since China doesn’t allow Taiwan content to be broadcast, Taiwan wouldn’t allow Chinese content; and Taiwan would uphold its ban of China video platforms from its market. So iQiyi found a local agency, OTT Entertainment, that would run its operations in Taiwan. The server of iQiyi would remain in China, while OTT Entertainment would negotiate with local content suppliers and deal with advertisements-related affairs on behalf of iQiyi in Taiwan. With this method, iQiyi established operations in Taiwan. Since then, locals have complained that the platform filters content that’s disliked by the Chinese regime. For example, in August 2017, iQiyi live-streamed a music concert held in Taiwan. As Taiwanese singer Cyndi Wang began her performance, the national flag of Taiwan in the background became visible; the video immediately cut to a commercial. Signs of Taiwan’s sovereignty, such as the island’s national flag, are considered taboo. Beijing claims that Taiwan is a renegade province that will one day be united with the mainland. In September 2017, Tencent said in a Chinese media interview that the company counts more than 7,000 Chinese Communist Party (CCP) members among its staff, which is about 23 percent of its total workforce. Sixty percent of the Party members on staff are key technicians. “Party members are the main body who guide the company’s development,” according to the report by South magazine, a state-run operation. Chinese firms are required to establish CCP organizations to ensure company policies toe the Party line. Tencent has 12 main CCP offices and 116 sub-CCP offices. The top Party member in Tencent is the current senior vice president. The company’s information security, internet-based media, and public relations divisions are also currently led by CCP members. Tencent’s Taiwan partner has rented an office within Taipei 101, the tallest building in Taiwan, and is preparing for its debut, according to NTD. The Mainland Affairs Council (MAC), Taiwan’s main administrative agency for dealing with China-related affairs, said that it’s concerned about such partnerships, given the nature of Chinese companies. Chiu Chui-cheng, deputy minister and spokesman for the MAC, noted at a press conference on March 14 that Chinese video streaming services must follow Beijing’s censorship rules. While they can now operate in Taiwan by partnering with local agencies, Chiu said he believed such partnerships should not be allowed. Flora Chang, a professor at the Graduate Institute of Journalism at National Taiwan University, told the Chinese-language Epoch Times that such video platforms’ entry into the Taiwan market are part of a greater campaign by Beijing to influence Taiwanese public opinion. “The Chinese regime wants to achieve its political aim through such media. Such elaborately packaged Party culture will eventually corrode the free society in Taiwan,” Chang said in a March 18 interview. Cheng Yun-Peng, a lawmaker and member of Taiwan’s Democratic Progressive Party (DPP), said during a DPP press conference on March 14 that if China’s video streaming platforms continue to enter Taiwan’s market, the Chinese regime will be able to influence Taiwan’s culture, and affect children who consume such media. Is a China-Taiwan War On the Horizon?